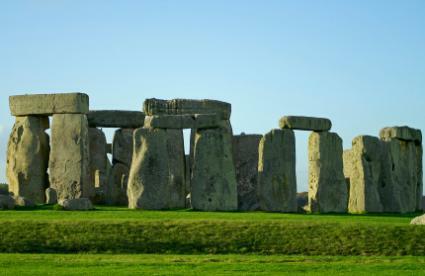 Stonehenge is a popular summer solstice location. With warmer weather on the way, vacations and trips to plan, summer solstice rituals fit into the mindset of fun and rejuvenation. Summer solstice marks the first day of the beginning of summer in the northern hemisphere. This day is celebrated between June 20 and 23, depending on when the sun reaches its maximum elevation in the sky during each year. What does summer solstice mean? In Latin, the words mean sun stands still. This occurs when the sun is directly over the Tropic of Cancer at noonday. As we look back on early civilization, summer was a happy time of year for tribal people who lived in the northern latitudes. The heavy snows had melted and the ground was beginning to be warmed by the sun. Flowers and trees bloomed. Crops were planted and there would be more food in the months to come. The days were longer. This was a break from winter and the cold. People felt a connection with the sun, and love and magic were constantly in the air as they performed celebratory rituals. Ancient Celts - Druids celebrated Alban Heruin which is Light of the Shore. It was midway between the spring Equinox and the fall Equinox. This summer festival focused on the apex of light. The crowning of the Oak King or God of the Waning Year was part of this ritual. Ancient China - Their summer solstice ceremony celebrated the earth, the feminine, and the yin forces. The winter solstice had rituals to the heavens, masculinity, and yang forces. Ancient Gaul - The Feast of Epona was named after a goddess who personified fertility, sovereignty, and agriculture. She was thought to be a woman riding a mare. 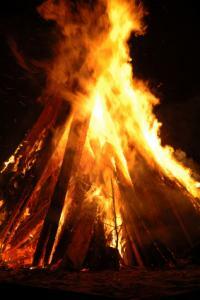 Ancient Germanic, Slav and Celtic tribes in Europe - Ancient Pagans celebrated with bonfires. Lovers would jump through the fires. Ancient Rome - The festival of Vestalia lasted for a week in June. This was held in honor of the Roman Goddess of the hearth, Vesta. Ancient Sweden - A tree was decorated in each town and thought to be magical. The villagers danced around as the females in the area bathed in the local river. Christian countries - After the conversion of Europe to Christianity, the feast day of Saint John the Baptist took place on June 24. As the Bible states, John jumped in his mother's womb and was filled with the Holy Spirit when the pregnancy of Jesus was announced. Therefore this saint is honored as the symbol of birth and new life. Native Americans - The Natchez tribe in the southern part of the United States worshiped the sun. Their belief was that their ruler descended from the sun and every summer a feast was held to offer him their first fruits from their harvest. Bonfires are popular on the Night of Saint John. Today people hold celebrations in June, and some of the rituals revolve around the mythic practices of summer solstice. There is food, drink, and even chants recited at special events to welcome in the longest day of the year. Typically, New Agers, hippies, mystics, and others gather at Stonehenge in the United Kingdom to watch the sun set. Across the world, people gather to dance, light bonfires, eat, burn incense, and basically enjoy a festive time during the day known as summer solstice. In the United States, regions with Scandinavian origins such as Chicago and Minneapolis are more apt to join in the rituals of this day. The fact that June weddings are popular even today goes back to the origin of earlier days when lovers met and were married during summer solstice. The belief was that the goddess was ripest and fullest during this time. Even the honeymoon dates back to this time when newlyweds were fed honey under the moon. This was believed to promote fertility among couples.